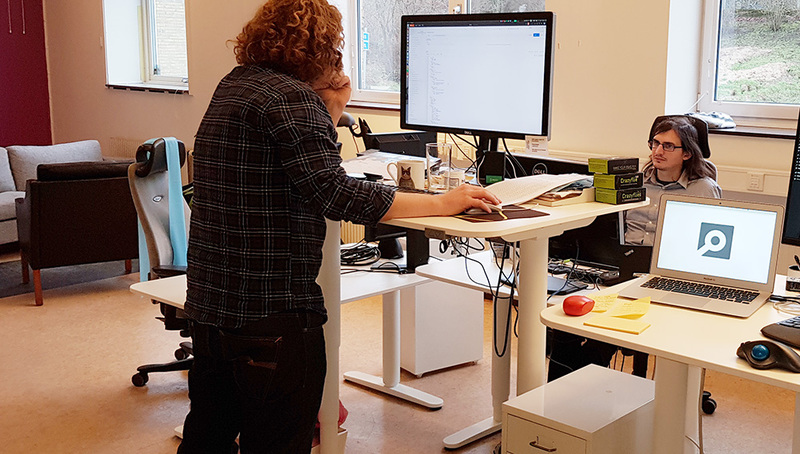 As part of our collaboration with Qualisys we are helping them developing an active marker deck for their motion capture cameras. One of the major benefits with an active marker deck is that it can have an ID, thus it is much easier to track each Crazyflie in e.g. a swarm. Another benefit is an increased range compared to passive markers thanks to high power emitting IR LEDs. We are currently only in the prototype stage but we have already managed to do initial fight tests so hopefully we can release it within a couple of months. We will bring some prototypes to ICRA 2019, come and visit us and Qualisys to check the deck out. As we have written about before we moved to a new office last month. One of the major reasons was the need for a bigger flight lab. This will enable us to do better testing and improve how we can develop things, especially our positioning solutions. 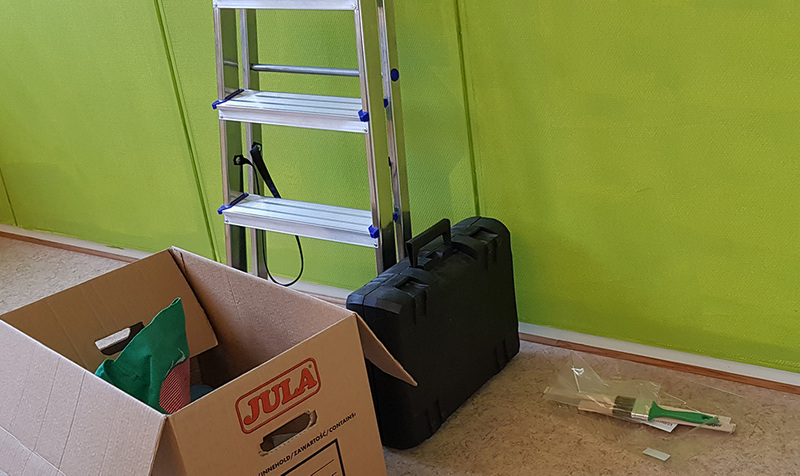 Even though it is not a huge place, going from 4x4x3m to 8x8x3.5m and possibly 13x9x3.5m, is a great improvement for us. We call this great playground for the Arena as this is what it feels like for us :-). Very soon we hope to have our Qualisys MoCap system, Lighthouse and the Loco positioning running, maybe even at the same time. As a bonus this is a great pace to play HTC Vive VR games, we just need to get the wireless transmitter so we can make full use of the space! It was a very fun experiment, it is magic to see the Crazyflie going back and forth blinking for ~3 minutes, click on the camera and see the resulting picture. It is also a really nice way to observe the current state of the lighthouse positioning. The lines are spaced by about 3 cm and the Crazyflie is controlled using the PID controller. The controller do a decent job of keeping the Crazyflie in lines and the space seems a little bit ’tilted’. If you are curious or if you want to try by yourself, we pushed the script in the Crazyflie-lib-python example folder. As a side note, we will be exhibiting at the ICRA 2019 conference May 20-24, 2019 in Montreal, Canada. We will running demo of the LPS and Lighthouse (though I am not sure we can print long exposure picture, this is not so exciting to look in real-time :). We hope you would like to come and meet us there! Last week we blogged about the early release version of the lighthouse deck and showed a nice push-around demo of the Crazyflies using the Vive controller. Now we wanted to push the system even further, by making a Lighthouse Painting! We started by adding a LED-ring deck on the bottom of the CrazyFlie 2.1 with the lighthouse deck attached to the top. We were able to access the input of the track pad of the Vive controller and link it to a specific color / hue value. The LED ring can display any color possible in the RGB range, so in theory, you could paint in whatever color you like. For now, the brightness was fixed, but this could be easily added to the demo script as well. To capture the light trace, we needed to make a long-exposure image, therefore, the flight arena need to stay completely dark. 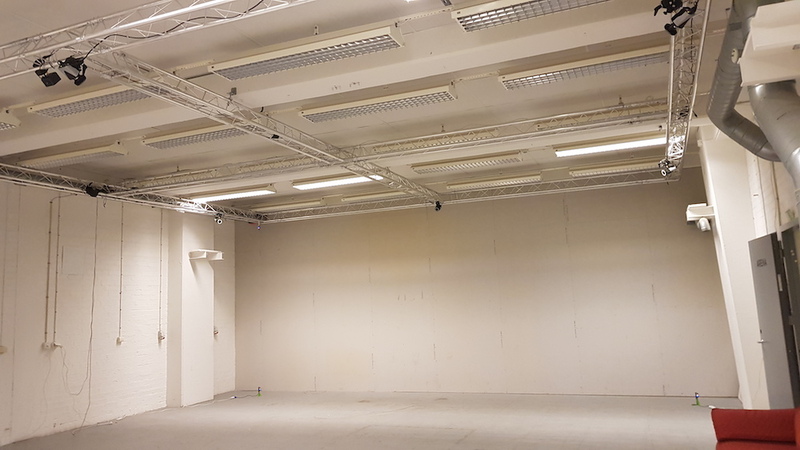 Luckily, this was easy to do for us since we do not have any windows in our new testing arena. Our camera is the Canon D5600 with a manually controlled shutter time setting selected (press to open the shutter and press again to close the shutter). The aperture setting was set at F-22. Nevertheless, this is very depended on the environment, so we had to do some trial-and-error in order to get this parameter right. 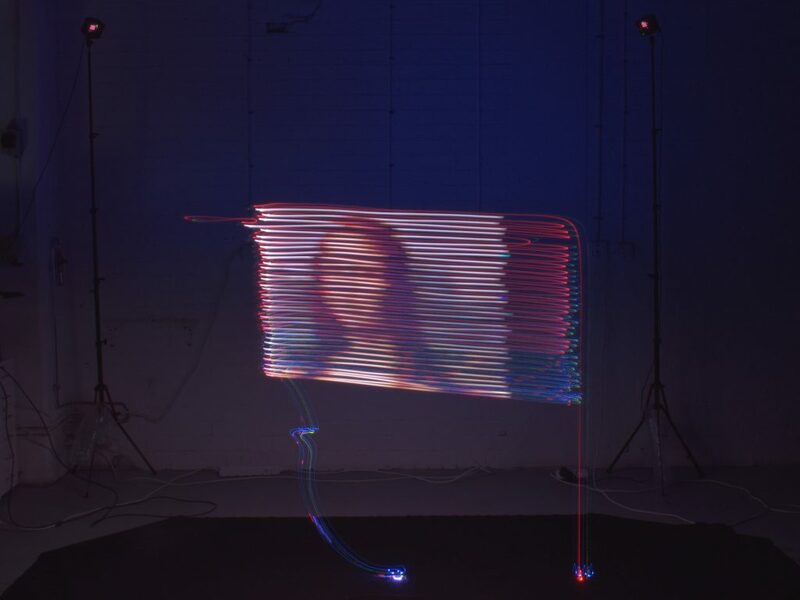 Once we had the set-up finished, we made several long exposure photo paintings with one person controlling the camera and another painting the picture into thin air. Of course, the artist would need to imagine its creation, as we were not able to see the result until after the picture was taken. Also, big gestures were required in order to complete the painting, as the Crazyflie’s and the Vive controller’s movements were synced 1:1, so adding some multiplication factor would come in handy. Nonetheless, the results were amazing. We took it even further, by making the Crazyflie fly a predefined trajectory and planned color scheme without the Vive controller. First, it flew three concentric circles in green, red and blue with the high level commander with the PID controller setting. But, the circles would probably be closed-off more properly with the Mellinger controller setting. We also were able to reproduce the Bitcraze logo in the same fashion. 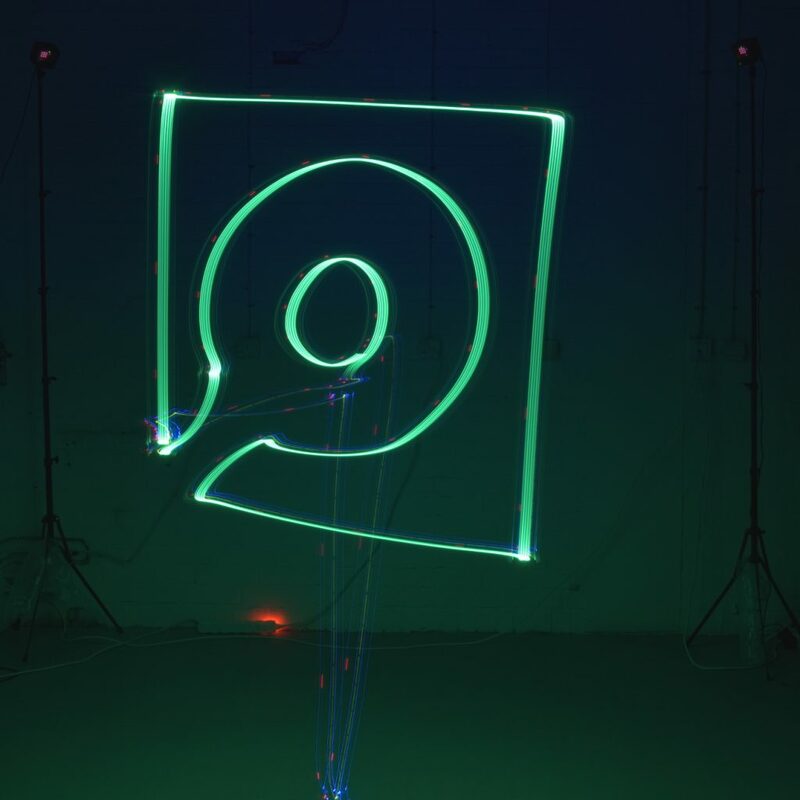 In both long-exposure photos, it still possible to see the Crazyflie, as it is still traceable due to its routine LED functionality, so you can easily observe where it took off, and where it flew in between shapes. We have just released the Crazyflie Lighthouse deck as Early Access! It is now available in our web store. 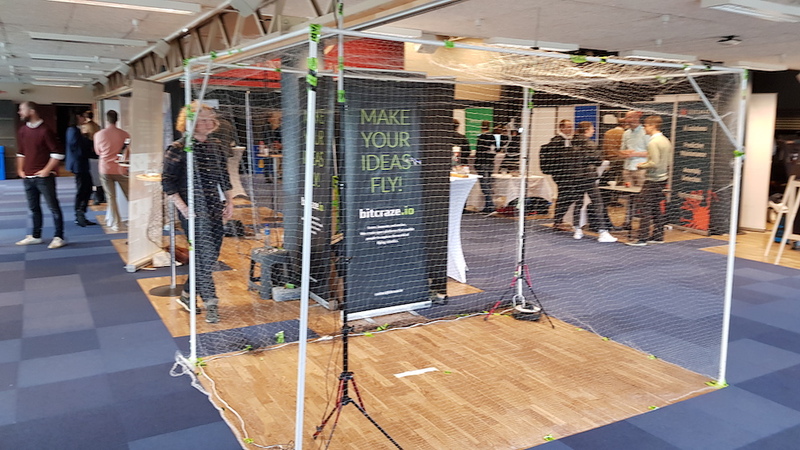 The lighthouse deck allows the Crazyflie to estimate its position using the HTC Vive tracking base-station normally used for Virtual Reality. The positioning is done by tracking the timing of rotating infra-red laser beams emitted from the base-stations. This system has the advantages of having a very good precision and of allowing the Crazyflie to acquire its position autonomously: once the Crazyflie knows the position and orientation of the base-station, it can calculate its own position without the help of any external systems. The release as Early Access means that we have finished the hardware and we are confident that the hardware is working properly. Though we have not yet finished all the software and firmware, by releasing the hardware early we can get the hardware into the hands of users quickly to try it out. In return we hope we can get some help making the software better. The Crazyflie can calculate its position from the received Vive Base-Station V1 signals. Direct line of sight should be kept to both base-stations. The Lighthouse deck has 4 receivers so in the future it will be possible to get a position from seeing only one base station. Base-Station V2 support is still being worked-on, it will only require a software update. The Base-station position is hard-coded in the Crazyflie and found using SteamVR. Ideally this should be sent from the ground and the Crazyflie should calculate the positions of the Base-Stations automatically. The previous point means that a full VR system or at least two base stations and a controller or tracker is required to setup the system. In the future we hope to setup the system with only a Crazyflie and two base stations. As long as the deck is in early access, the main documentation will be the lighthouse positioning page in the wiki. This page is going to be updated a lot in the near future and will track the progress in development. In this demo, a python script connects to two Crazyflies and acquire the controller position using OpenVR and makes the Crazyflies take-off above the controller. 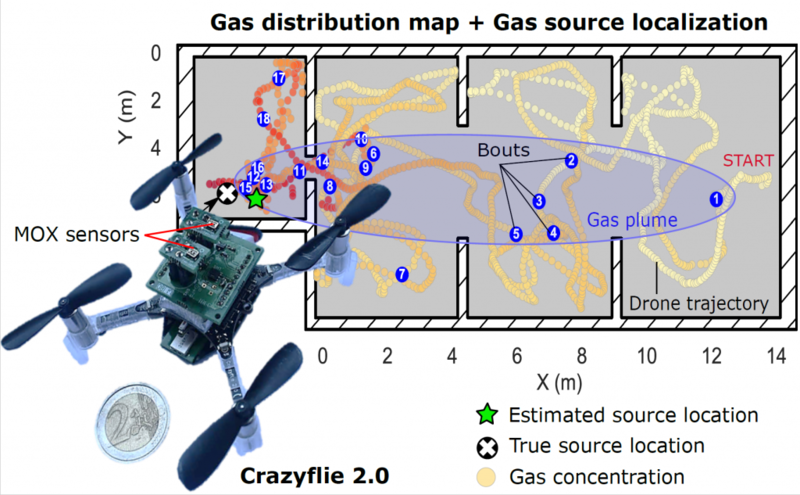 Then, when the controller trigger is pushed, the setpoint to the closest Crazyflie is changed to follow the controller movement, the Crazyflies are flying autonomously only getting position setpoints from the python script. The position estimation and control is handled onboard. We are pretty excited by this release since we think this positioning technology will be very useful for a lot of use-case. Let us know what you think and do not hesitate to contribute if you want to improve the system :). The Crazyflie 2.1 is here! The Crazyflie 2.0 was released almost 4 years ago now. When we released it we wanted to avoid limiting our users in hardware. We over-designed it with lots of features and power we weren’t using at the time of release. We also put in the deck connector so we could keep users updated with new hardware without having to replace their Crazyflies. Over the years there’s been thousands of users and lots of feedback on the product. Most of it great, but there’s of course also been issues that needed to be addressed. The original design concept is still working with new decks coming out and still free CPU cycles, flash and RAM. So instead of major updates we decided to focus on fixing the issues we’ve seen while keeping backwards compatibility for our users. So today we’re really excited to announce we’ve released the Crazyflie 2.1! 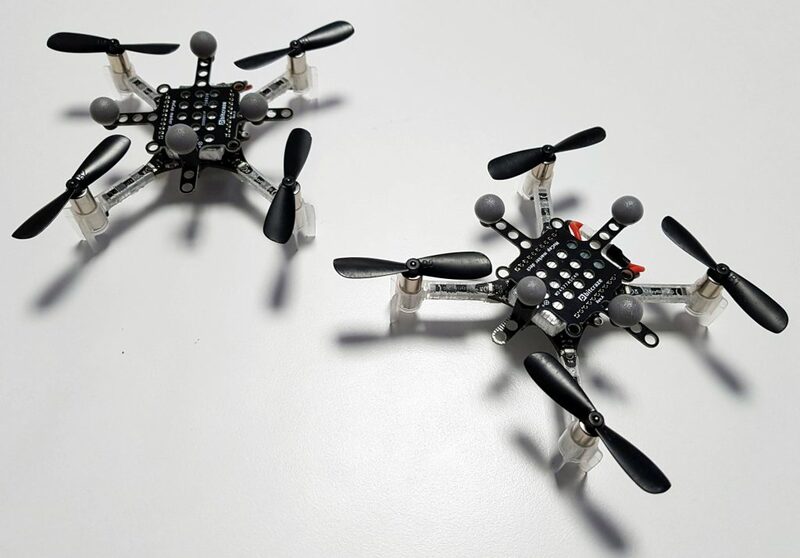 The updated version of the Crazyflie brings improved flight performance, better durability and improved radio stability. Better power button: We’ve gotten feedback that the power button breaks too easily, so now we’ve replaced with a more sturdy alternative. Improved battery cable fastening: To avoid weakening of the cables over time they now run through a cable relief. Improved sensors: To make the flight performance better we’ve upgrade the IMU and pressure sensor. The new Crazyflie uses the drone specialized sensor combo BMI088 and BMP388 by Bosch Sensortech. It lowers drift and avoids accelerometer saturation which makes the IMU more “trustable”. 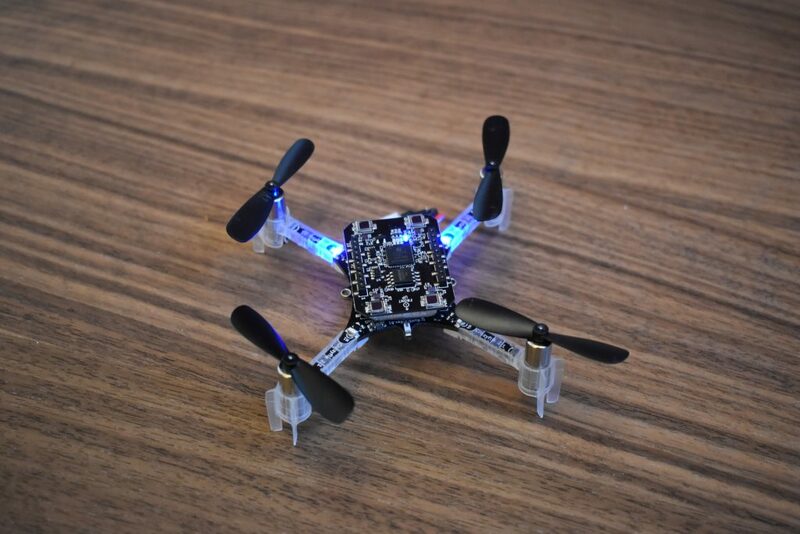 It’s important to note that the Crazyflie 2.1 is a drop-in replacement for the Crazyflie 2.0. 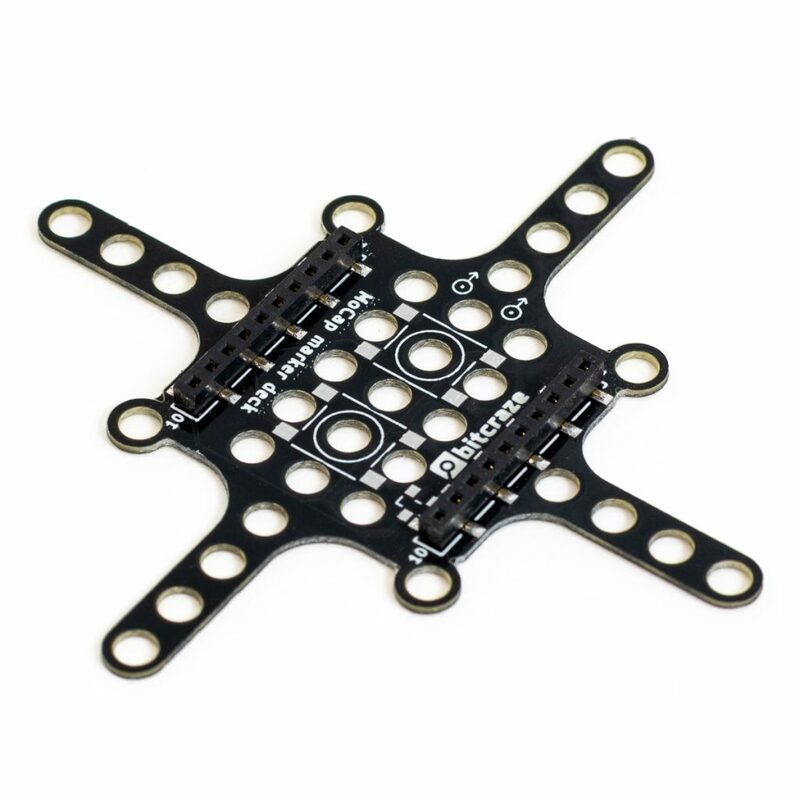 All spare parts and decks are compatible with both the Crazyflie 2.0 and the 2.1. 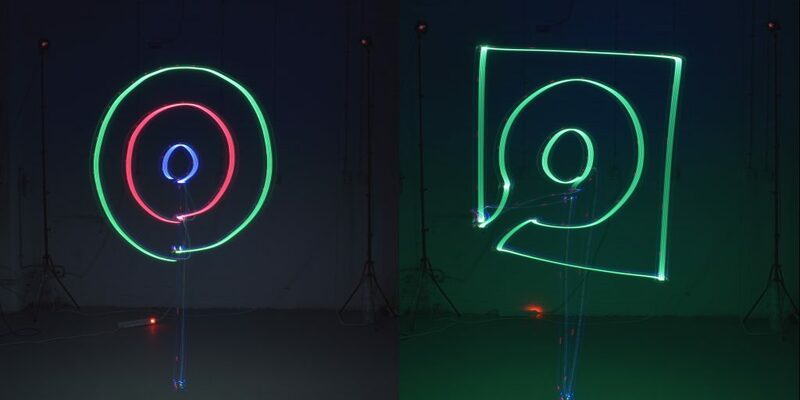 We even took it so far that the same binary can be flashed on the Crazyflie 2.0 and 2.1 without any special care. The binary will automatically activate the right drivers which means working with mixed groups of 2.0 and 2.1 isn’t a hassle. When releasing the Crazyflie 2.1 we’ve also updated all the bundles to contain the new version. But even though you can’t get the bundles with the Crazyflie 2.0, there’s still some Crazyflie 2.0 units left from the last batch that can be purchased in the E-store.